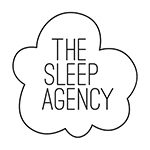 The Sleep Agency Sleep training can help solve a range of sleep problems that families commonly face with a child age four and a half months to six-years-old. This package provides basic support Mon-Fri when coaching. The Standard Package offers extra time at the consultation, feedback 6 days a week and additional calls during the process. This option is recommended for children 2.5 years and up and required in coaching several children with different ages in one family. Do you feel the need for extensive one-on-one guidance and besides a more extensive personal consultation also the ability to contact your sleep coach any time of day and evening? The Premium package offers just this. Should you need additional follow-up calls beyond your purchased package or, if after your consultation is complete and you find yourself with a new issue, you may purchase packages of four calls for €95 (15 minutes/call or €95/hour). If you do not use all the time, the fee will be prorated based on how much time you use. If you like an additional week of feedback on your sleep log beyond your purchased package you may purchase this for €95. Even though your newborn is still too young to sleep train, there are still many tools and coping strategies that you can use to help your baby sleep better. This Sleep Shaping package is the ideal route to Sleep Training- the Newborn Sleep Start Consultation puts your family on the path to healthy sleep habits. ** Travel costs and travel hours excluded. Consult via FaceTime or Skype are a possibility.